RHAA is working with Marin Montessori, a private K-8 school located in Marin County. The school is developing an expanded elementary campus adjacent to its existing campus. 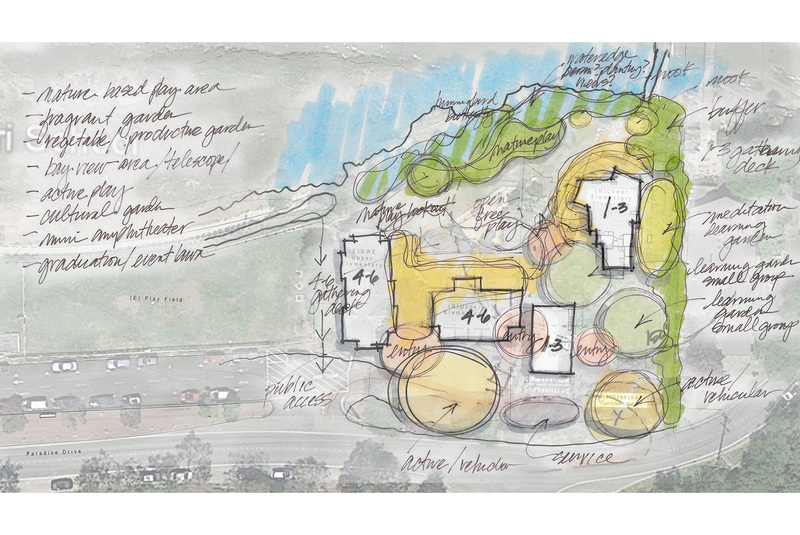 RHAA is working with Pfau Long Architects and the school faculty and administration to create a rich, Montessori based outdoor learning environment. The design includes a nature based play area located adjacent to the Bay shore, multiple edible gardens, outdoor classrooms, a meditation garden and a series of decks and seating terraces. The project is in the very early stages of design.